The morning after I submitted my piece to The Mighty, my great grandmother was very much on my mind. I sat at my desk reflecting on my time with her -- smiling, regretting, and missing...lots and lots of missinng. I left my thoughts at my desk and walked to my classroom door to greet my students. As each student entered, we exchanged simple pleasantries. When the last student entered, she handed me a small envelope. My name, surrounded by smiley faces and hearts, was neatly printed on it. "Can I open this now?" I asked her. She nodded; a smile danced across her face. Inside the envelope were all sorts of beautiful, delicate, and absolutely creative minitaure ceramics. A pencil with the words "#1 Teacher," an apple marked with an "A+," a paperclip holder, etc. Anything teacher related, she had created and carefully placed in this envelope. Each item was so detailed and so beautiful and so thoughtful. 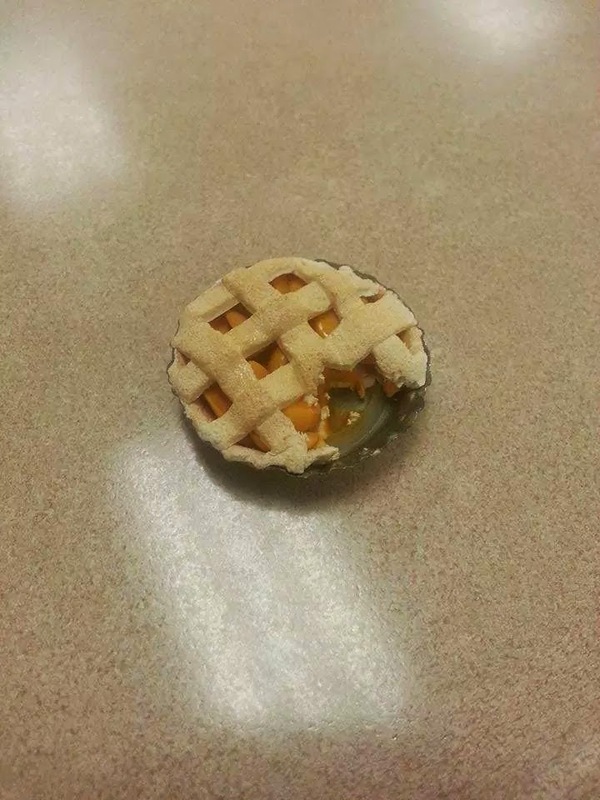 And then, I pulled out her final creation: a pie. "I don't really know why I made that one for you. It just felt like you would like it," she said. I wanted to thank her for the gifts. For the pie especially -- that one, small, simple pie that means everything to me. It connects me to my great grandma. It reminds me to shift my focus from perfection to making memories. It often keeps me grounded. But all I could do was smile and say, "Thank you. Thank you so much." Later that day, I told a good friend the story of what had transpired. "That's called a 'God wink'," she responded. I like the idea of that. God giving me a little wink, my great grandma giving me a nod of approval...encouraging me on this journey, reminding me that while things will never be perfect, the moments are what really matters. Thank you for sharing. What a sweet story. I am so lucky to be blessed with my amazing students.